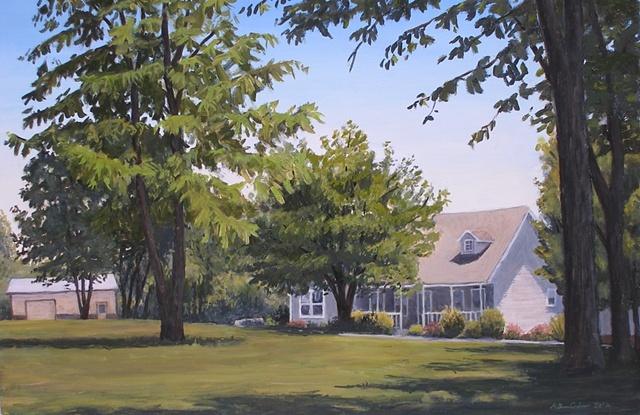 These pieces are the culmination of a recent commission for Bob and Teresa Lane of Sullivan. The series of four paintings depicts their property in all four seasons. In the attempt to capture the beauty surrounding their home over time, the paintings began to inform each other visually—taking cues from one another as the series went on. They also allowed me to expand my painting process, for which I am grateful.